Maine Medical Center is a complete healthcare resource for the people of greater Portland, the entire state of Maine, and northern New England. Incorporated in 1864, it is the state’s largest medical center, licensed for 637 beds and employing more than 8,000 people. 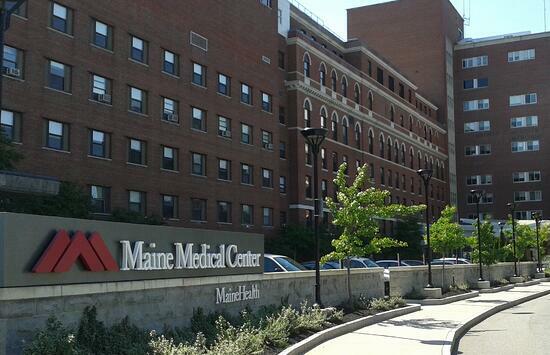 Maine Medical Center is the flagship hospital of Maine Health, a 12-member health system that touches central, southern, and western Maine and eastern New Hampshire. MediRevv established an on-going, true partnership with Maine Medical Center, setting them apart from the other vendors. As more than merely a provider of liquidation services, we offered transparency throughout the engagement. Whether it was time spent on the financial model to on-site visits or collaboration on KPI’s, our knowledgeable and efficient staff provided the needed support that Maine Medical Center needed resulting in a successful partnership. Maine Medical Center was faced with a large backlog of aged A/R insurance inventory of 120 days and older. While their preference was to keep the inventory in-house, staffing challenges led to an increase in volume of untouched inventory. With strong internal processes in place, the team began looking for a partner to help with the aged A/R inventory. The experienced and educated Revenue Cycle Representatives at MediRevv were already experts in Epic and worked efficiently through the 120-day and older accounts as well as maintained current status on an on-going basis. This allowed the Maine Medical Center team to focus on the resolution of newer inventory and staying current in all payer categories. We delivered a stop gap solution with best practice insurance workflows and quality documentation management by resolving old inventories and fully eliminating backlog. With a focus on strategic partnership, prior to Maine transitioning all inventory back in house MediRevv assisted with the creation of a schedule for reducing placements by payer category to ensure the client had appropriate timing to bring on any additional staff or conduct additional training to manage the inventory. MediRevv was with us every step of the way providing guidance and solutions for our insurance backlog. They didn’t just do a good job, they did a great job for Maine Medical Center and far exceeded any expectations we had for the engagement. MediRevv proved to be a valuable and effective partner resolving claims quickly. We went above and beyond to deliver best-in-class service of aged receivables, and within six months delivered a 31% reduction in total A/R volume allowing Maine Medical Center’s staff to transition back to manage all inventory 150 day and less in-house. Read how MediRevv partnered with Maine to resolve the Insurance A/R backlog.